It took me 27 years to get a well-fitting suit, and I still have a boring name. So I am a bit jealous of this Zane Ice kid. Just playing – he seems pretty cool. And he’s got the lead. I guess Courtney, with that extra dollar on her Daily Double, wanted to take the tie possibility out of play. Or screw with my ability to do math. To cover an all-in wager by Courtney, Zane will need to wager 12,802. 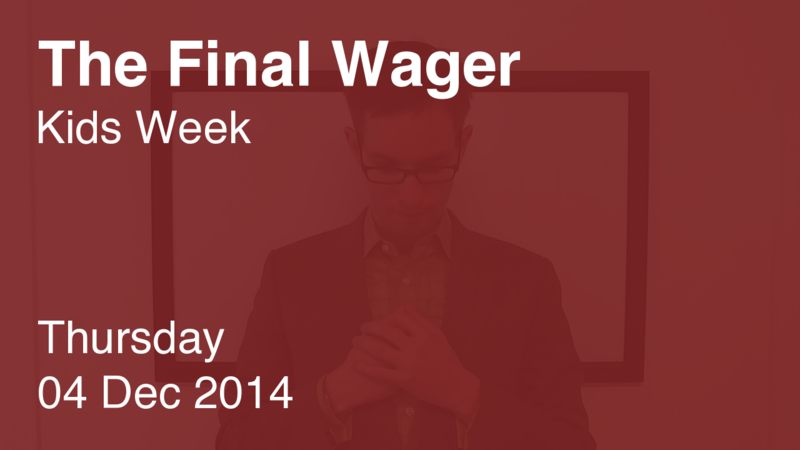 An incorrect response with that wager will leave Zane with 3,598. 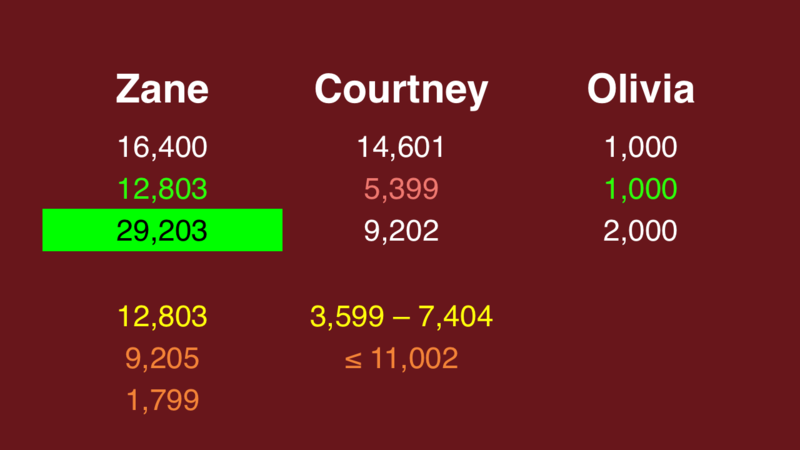 To stay above that total, Courtney can wager up to 11,003. Sad to say Olivia, who had some trouble with the buzzer, it appeared, is out of contention. 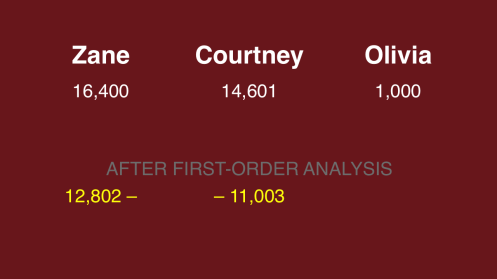 What if Courtney plays it safe with that maximum of 11,003? What if Zane goes for that and misses? If Zane wants to make a Colbyesque/Brakhagesque wager, he could go for 1,799. To cover that, Courtney should wager at least 3,599. Courtney’s “1” at the end made my head spin, but it was ultimately moot: Zane closed it out in style, becoming the big winner of the week so far. Why have you stopped putting colors behind players’ names?